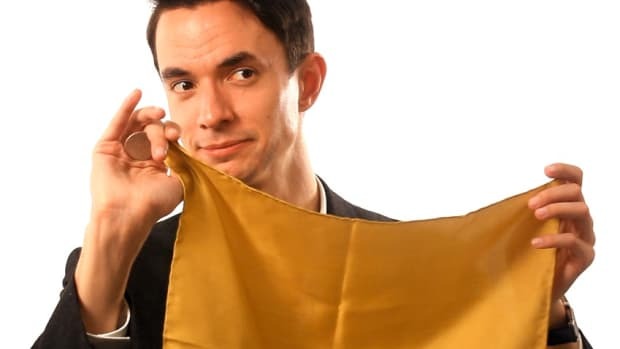 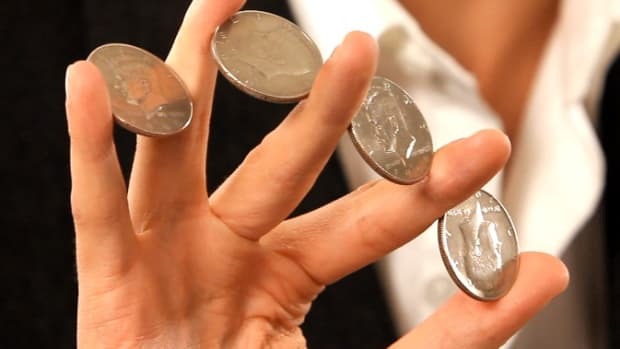 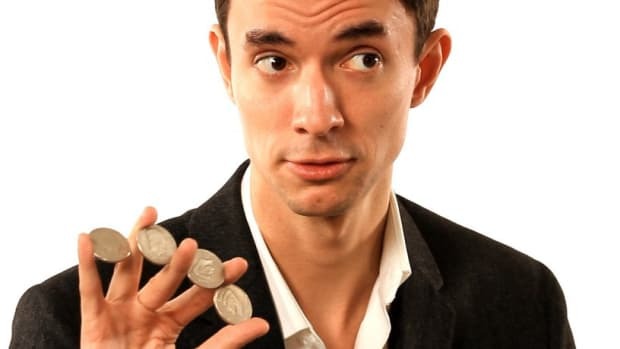 Learn how to do the drop coin vanish magic trick from celebrity magician Matt Wayne in this Howcast video. 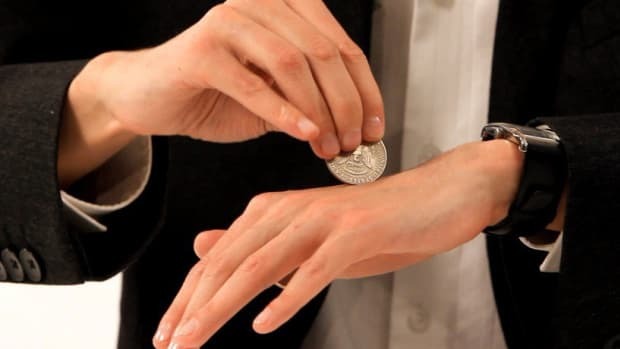 Step 1: Hold the coin Hold the coin vertically between your thumb and the side of your index finger. 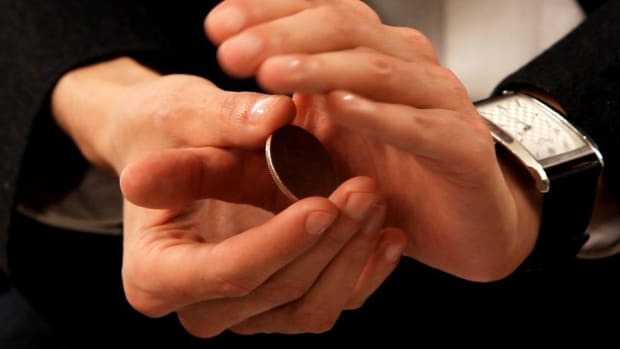 Keep the rest of you fingers closed. 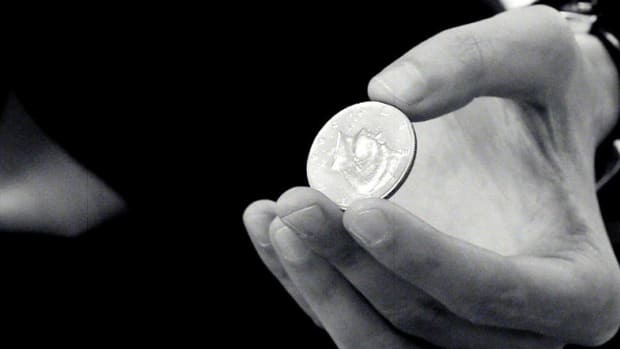 Step 2: Drop the coin Drop the coin in the palm of same that&apos;s holding it and lead your audience&apos;s eye away from the trick with a flourish of the other hand. 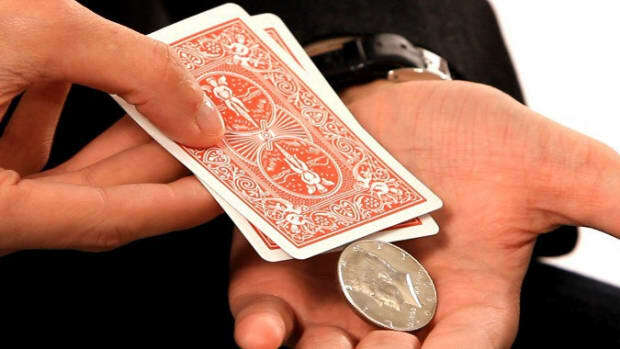 The drop vanish, it&apos;s a great coin vanish. 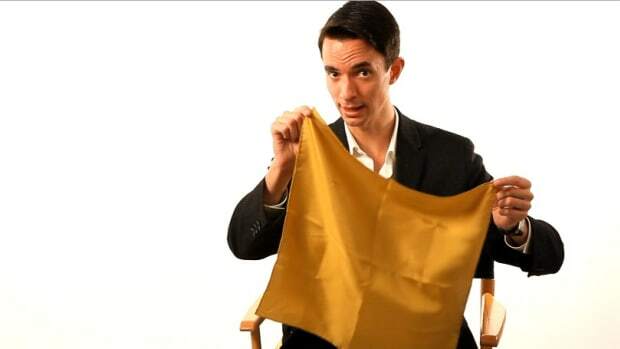 Here&apos;s how it looks. 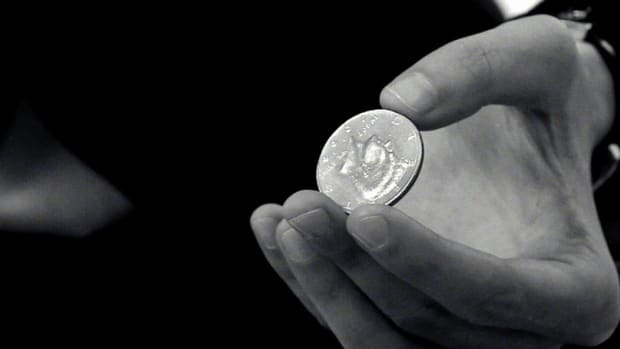 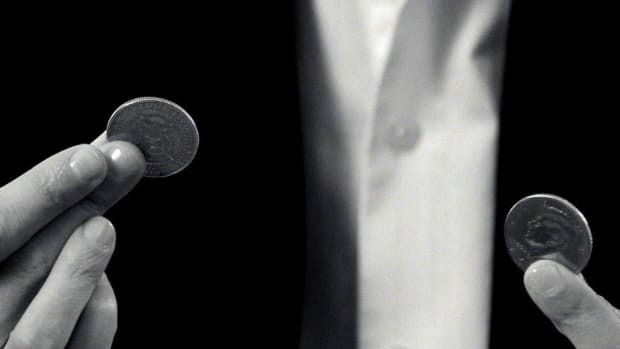 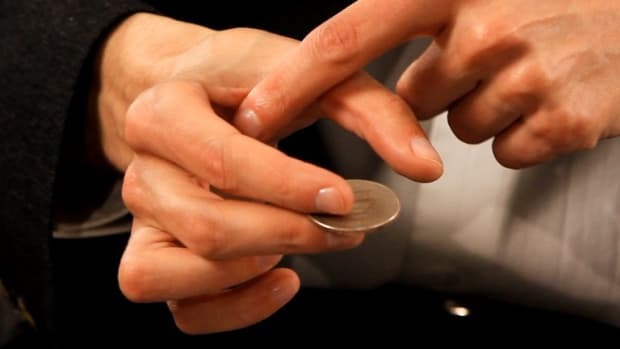 Taking the coin, dropping it into the left hand, and making it disappear. 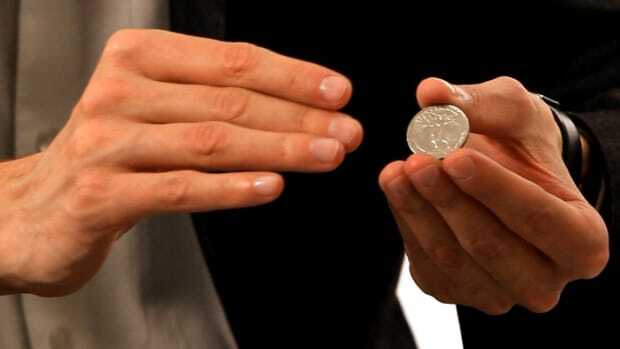 All you need, is a coin, so I happen to have one right here. 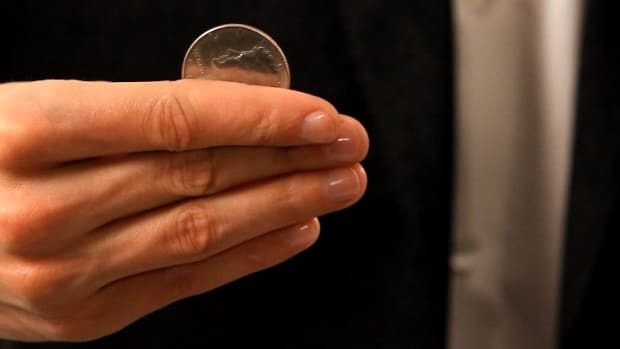 The coin, to start this vanish, is held up at the top between your thumb and the top part of the pointer finger in the right hand. 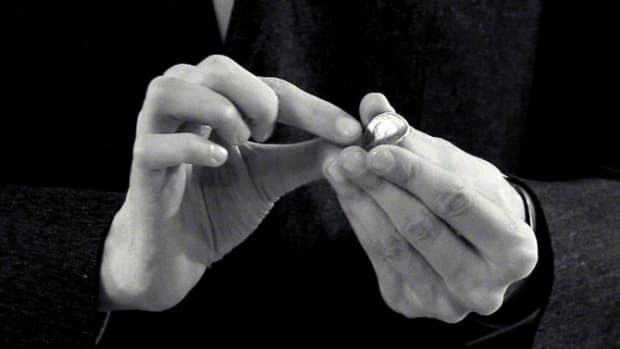 The fingers aren&apos;t spread, they&apos;re closed. 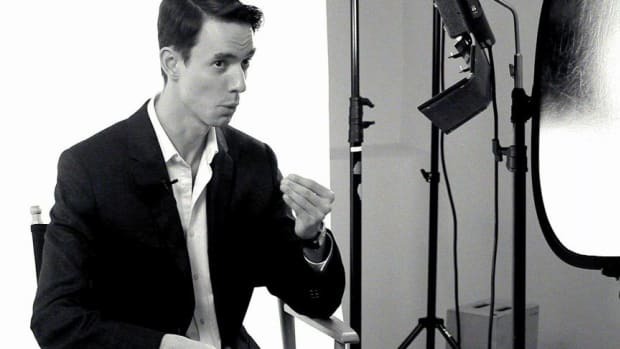 What is going to happen, you get to do a little bit of acting here, a little bit of mime. 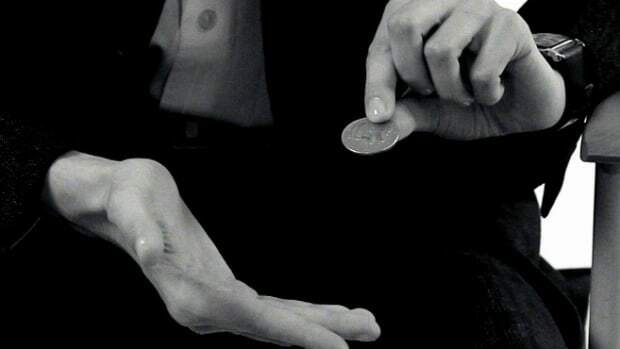 This left hand will never actually contain the coin, the coin is going to be dropped from view. 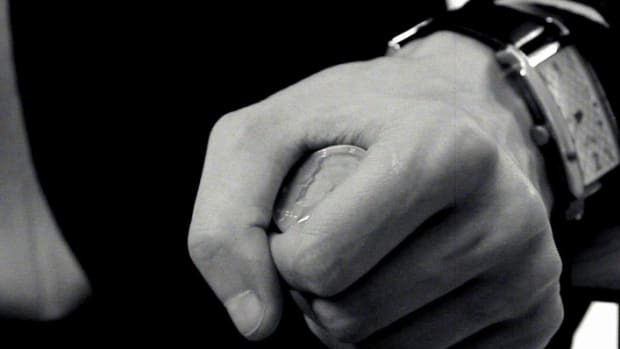 But it&apos;s going to be dropped into the palm of the right hand. 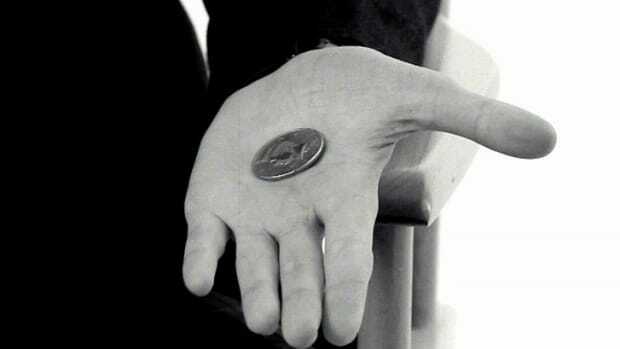 With the left hand, mimic as if the coin is dissolving in mid air, and then cause the coin to vanish. 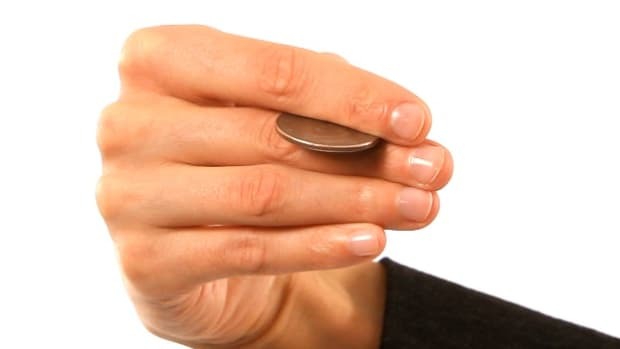 So once again in real time the drop palm vanish looks like this. 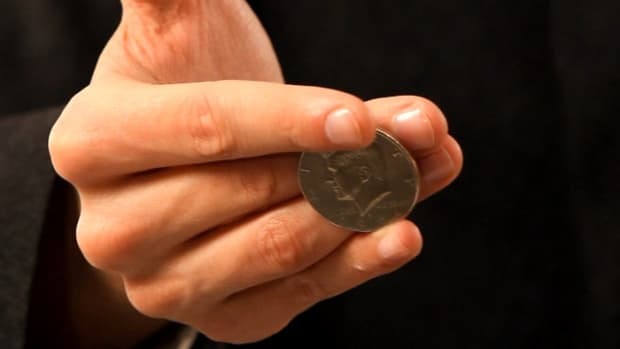 The coin is shown right there in the hands. 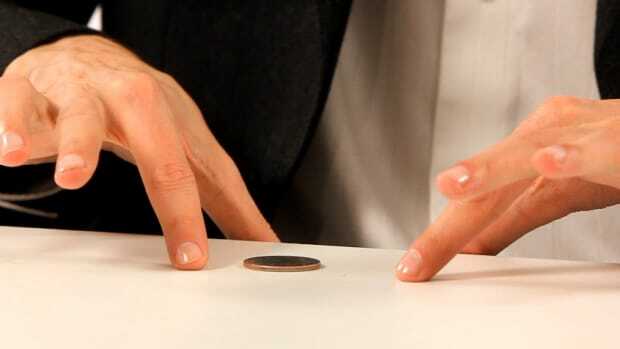 Left hand comes in, grabs the coin, and your able to just dissolve that coin into thin air.